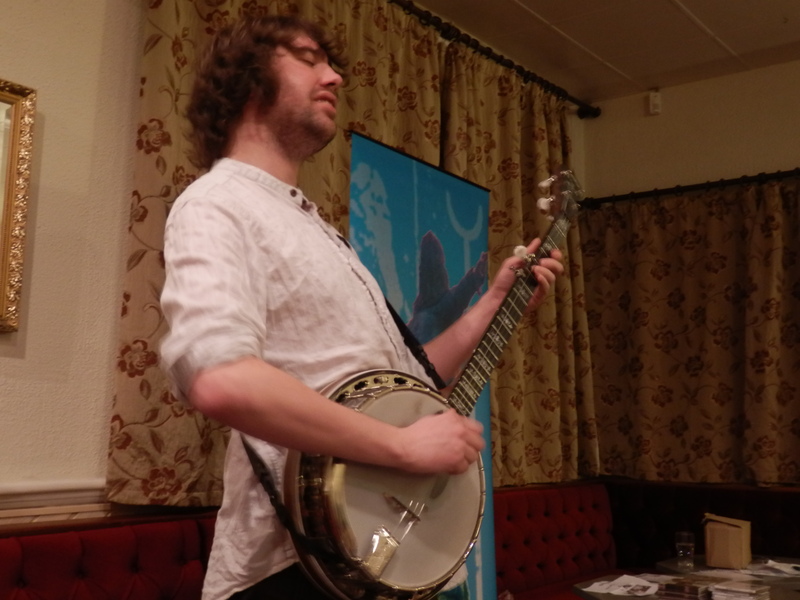 “For someone who doesn’t like banjos – well, it’s not really your night, is it?” Dan’s Walsh’s one-liners come as thick and fast as his firework virtuosity and eye-popping playing, singing and songwriting. Dan doesn’t just play his beloved banjo – he lives it, tortured face and voice underlining the hard-hitting lyrics, first attacking and then caressing his instrument. The banjo responds to all this hard love, hitting impossible notes, runs, and a myriad shower of sounds that knock you over like an exhilarating waterfall. The whole show is totally magnificent, and Dan’s whirlwind performance just leaves you breathless. His cartwheeling banjo antics are what draws the crowds, but Dan is a pretty outstanding guitarist, too; ‘The Song Always Stays’ is one highlight. But Dan turns the tables on his set, and very soon he’s taking the whole Club on a totally amazing composition called ‘Switchback Reel’, influenced by his tour in India and packed with Far-eastern classical elements. It’s a night to remember – Mick Tems took the image on the left, and shot three videos, The Hermit of Gully Lake, With a Memory Like Mine and Whiplash Reel.